So, its the time of the year when its all going on… and this means we are running about doing whatever it is that can be done based on the days demands and needs… surfing. biking. diving. fishing. walking…. 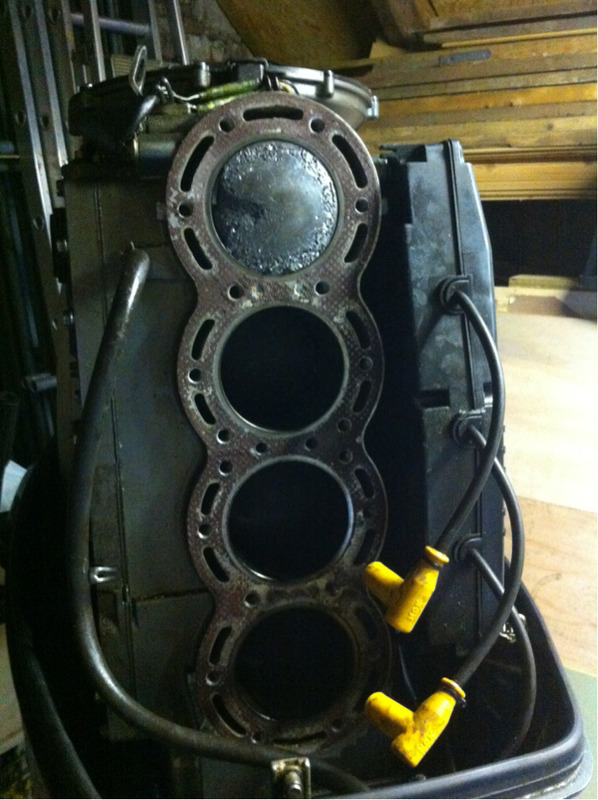 and more..
What have we been doing ? 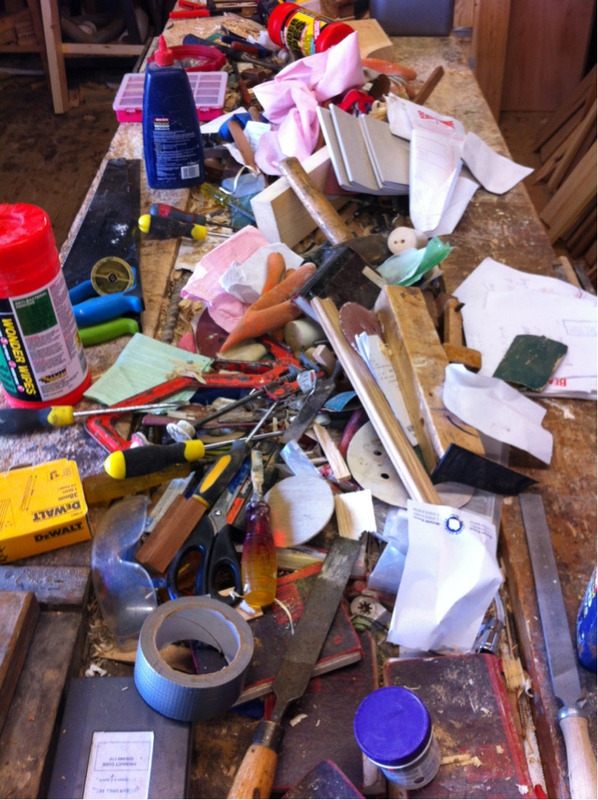 Not Just Boards and Bikes from swinhoe on Vimeo. 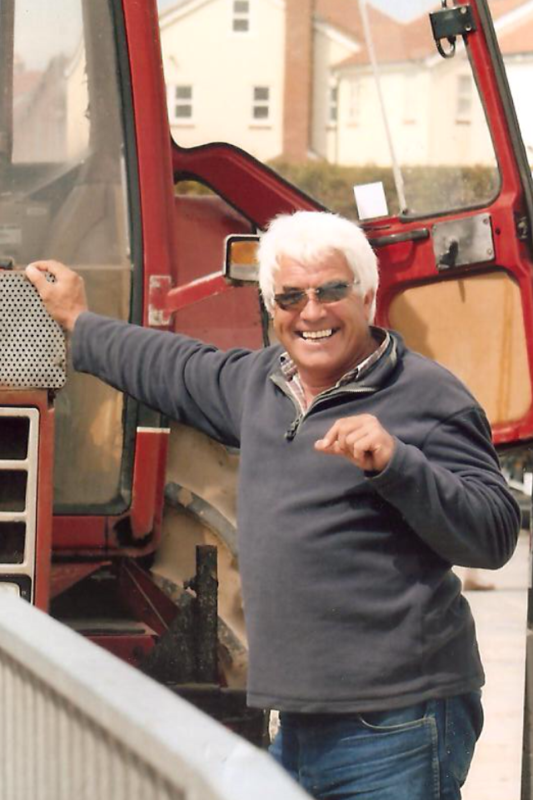 On Sunday August 5th 2012, Richard James Patterson, who ran the Beadnell Bay Boat Launch, died suddenly. 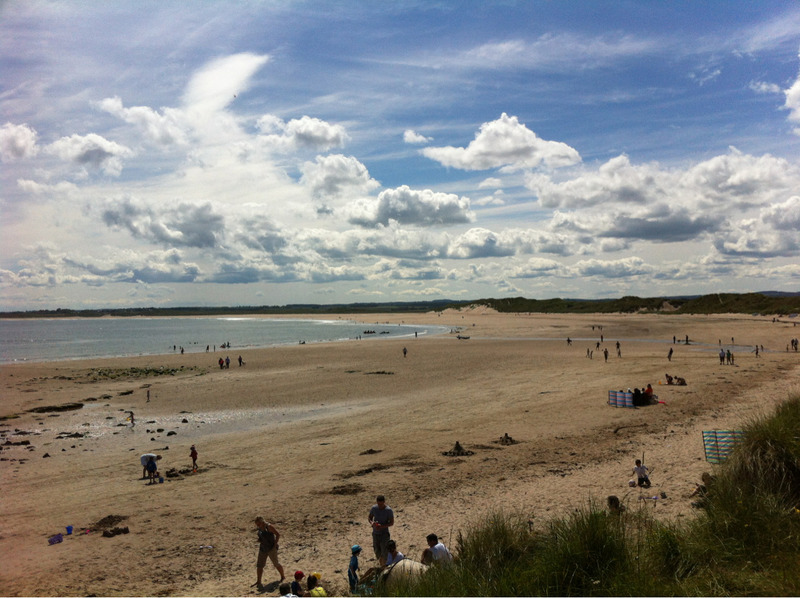 He was well know and well liked around the area, having spent 50 years of his life working in the villages of Beadnell, Seahouses and Bamburgh. The car park, Bay and village will miss him dearly. Well, its summer-ish… windows of sunshine, separated by strong wind, lots of rain and heavy skies. But that wont stop us. 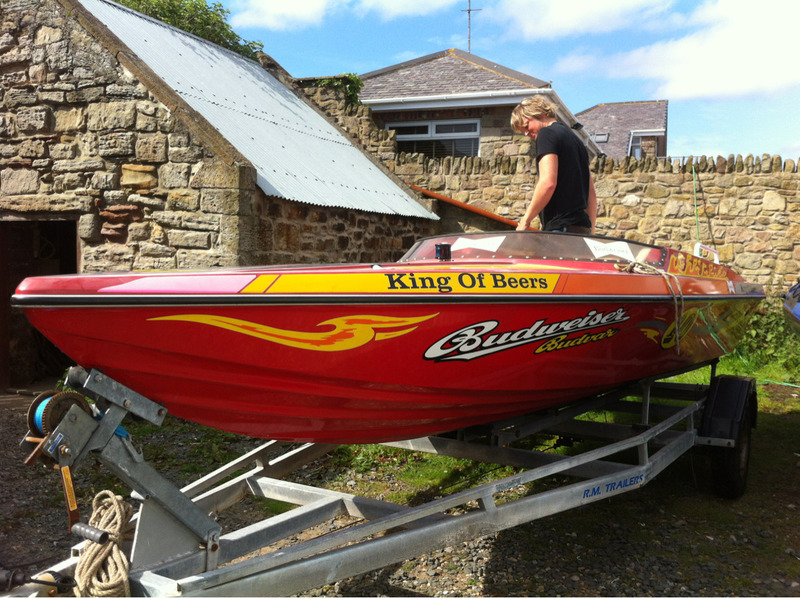 Summer is ploughing ahead… BBQ’s, surfing and getting the boats in the water. So this year especially has been a learning curve in terms of buying, selling, running and maintaining outboard marine engines. But at the end of that day we have the skills and the tools to prevail… and the flat water of August is right around the corner, bring it on. 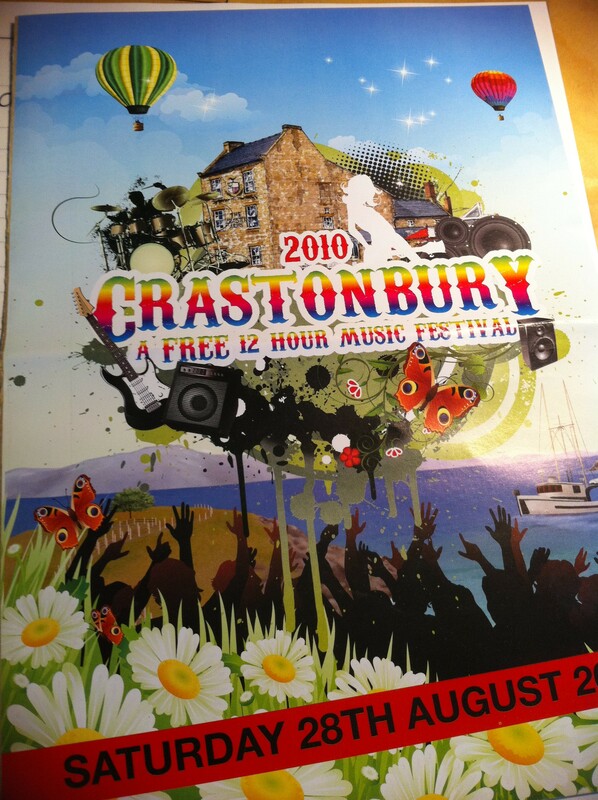 Crastonbury 2010 – A huge success !! 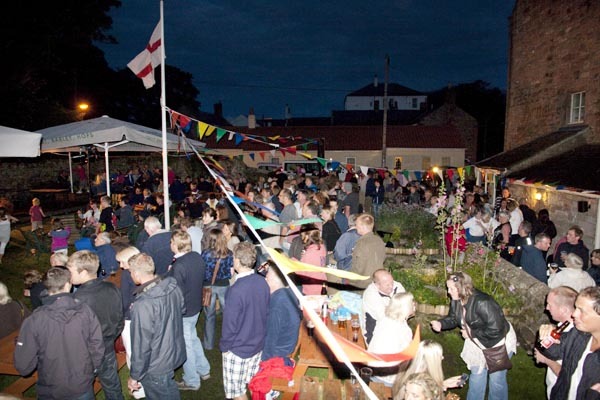 With only a couple of weeks notice, the village of Beadnell was treated to a very special one-day music festival put together by Michael at the Craster Arms. 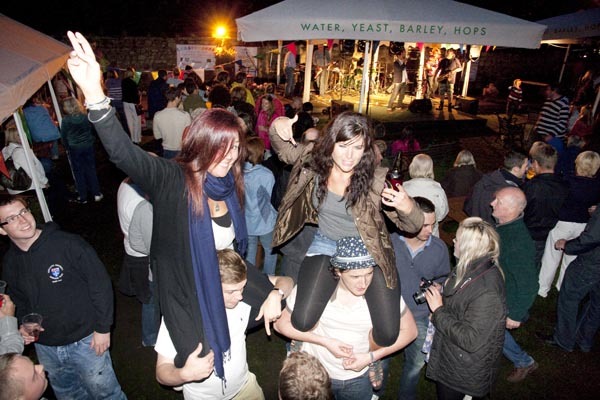 Running from midday to midnight on the Saturday of the August bank holiday, the line-up included; The Tuckers, The Longsands, The Proper Boys, Martini Sessions, The Remmies and the Amy Housewine Band. It was a great day, with sprinklings of sunshine and rain, but the crowd was resolute and the weather did nothing to dampen the spirits. 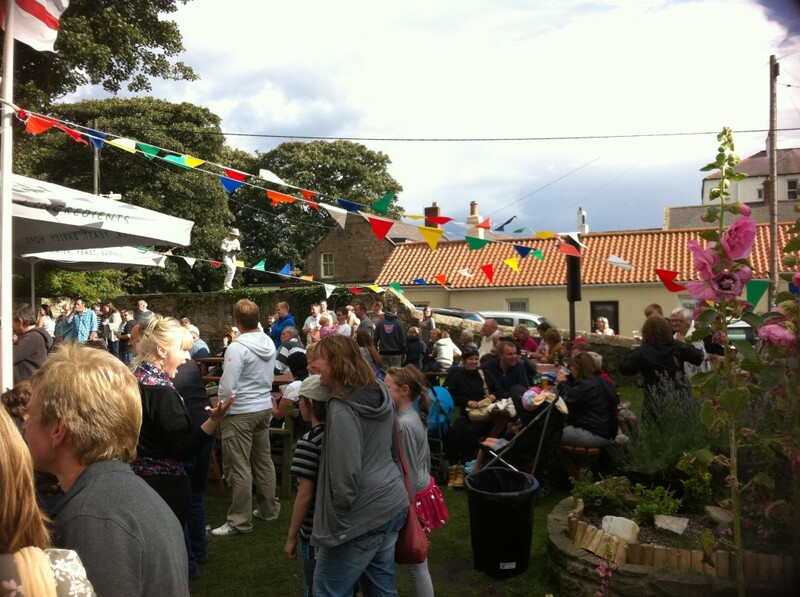 The crowd was a great mix of families, old and young, with locals and visitors alike sharing the merriment and enjoying the day. 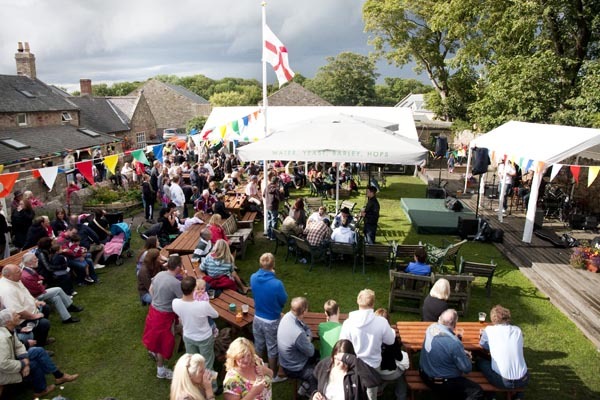 By 7am the next morning the entire garden was clean and clear and no-sign of the huge numbers of people could be seen – a credit to all the staff and helpers who worked so hard. 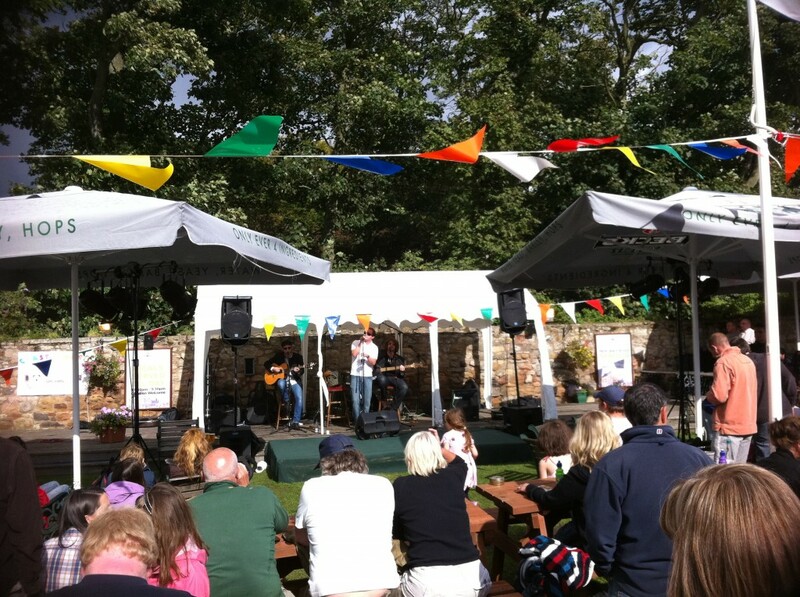 We look forward to next year when the festival will get bigger and better !! 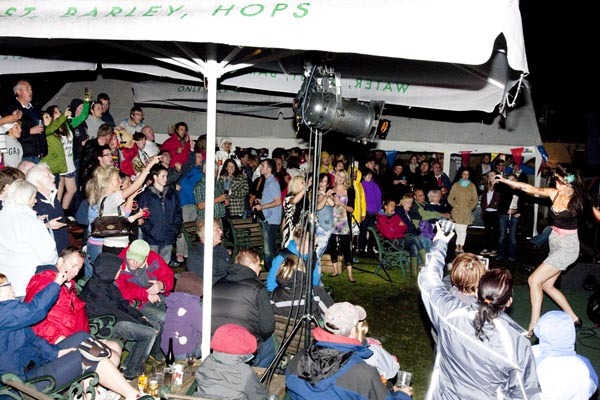 Bring-on 2011 :D.
Well, we’re pushing onwards and upwards with summer. The kids have been on holiday for a week and that means its only 5 weeks until we get the villages back and normality returns :). 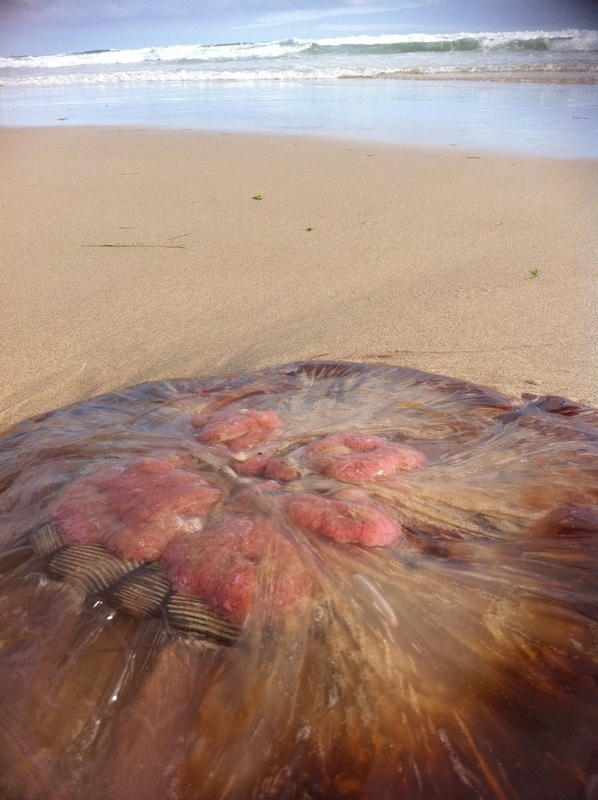 In the last two weeks we have seen the start of the Jellyfish season on the beaches. Normally, we dont see so many until September, when the weather livens-up, but with a strong Northerly/Easterly wind, they get blown inshore from sea and stranded on the beaches. I think I’m becoming a bit obsessed with them. They are such interesting creatures. (last night I found myself trawling through the many pages on Wikipedia about the species). Yesterday I was diving on a boat at the Farnes and Paul, and the Divers and I got chatting about the Portuguese Man ‘o War. Apparently they are occasionally spotted around the Farnes and St Abbs. The Portuguese Man ‘o War, the Box Jellyfish and the Lions Mane are the biggest and most dangerous kinds, but are RARELY found in waters of the North Sea. 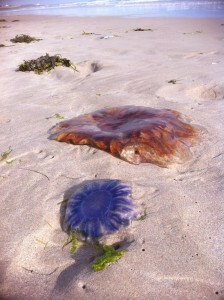 The Portuguese Man 'o War - not local to the area. Now, LOTS of Jellyfish get washed-up along the beaches here, but rarely are any of them any real danger. Even the most dangerous Jellyfish are rarely fatal, and 99.9% of the time the worst case scenario will be severe pain until treatment is administered. 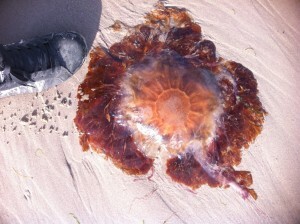 Any deaths from Jellyfish stings are unlucky and are associated with people who many be allergic or be especially susceptible. dozen, ranging in size from a centimeter to about 2-3 feet across. They come in clear, white, blue, pink, purple, red and deep red colours. Generally the smaller pink/blue types are harmless and can be handed without injury, the darker they are the more likely they are to sting. If you are stung, the best treatment is vinegar. Take a cloth of bandage and soak it with vinegar, removing any excess, then apply to the affected area. 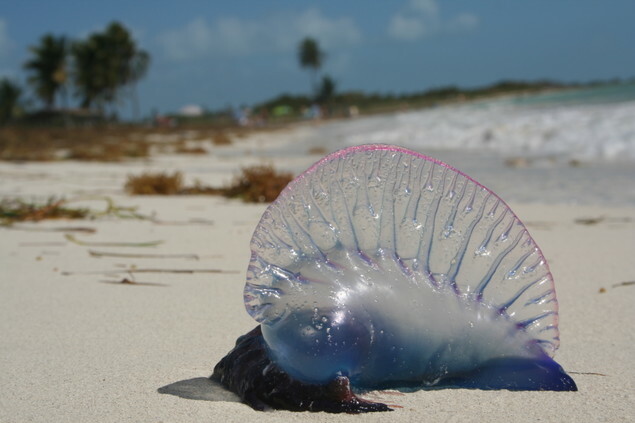 In the rare event of having been stung by a Portuguese Man ‘o War, don’t use vinegar – this can make the sting worse and spread it (the The Portuguese Man ‘o War is not actually a Jellyfish, but a close relative). 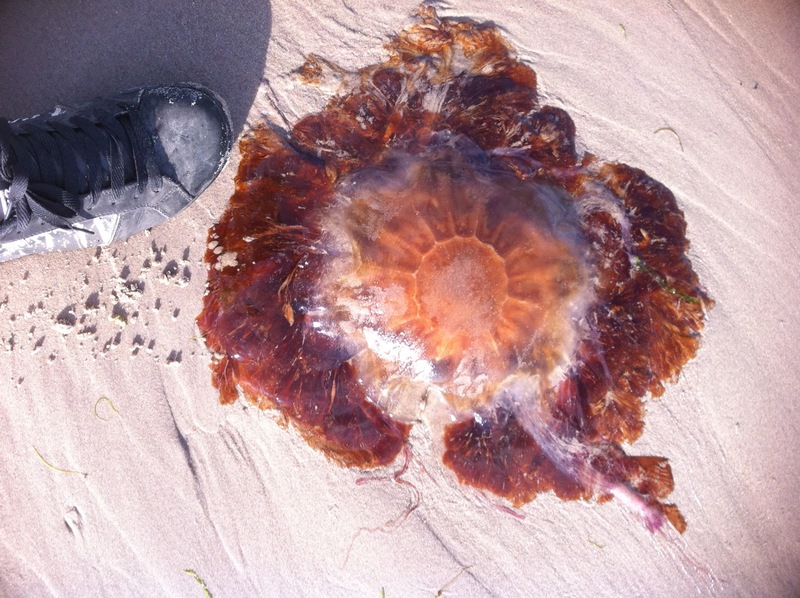 Remember that the stings – or nematocysts – can remain active long after the jellyfish has died or dried-up, so be careful when handling if you choose to do so. Local fishermen laugh heartily when old stored fishing gear is taken out of storage and handled months after being on the sea only to sting the new lad on the harbour not wearing his gloves.